The Art Newspaper reports that questions of authenticity, provenance and attribution constitute the greatest risks to the art market according to 83% of wealth managers and 81% of art professionals (“Ultra-rich will spend $2.7 trillion on art by 2026 says Deloitte”). Above, Figs. 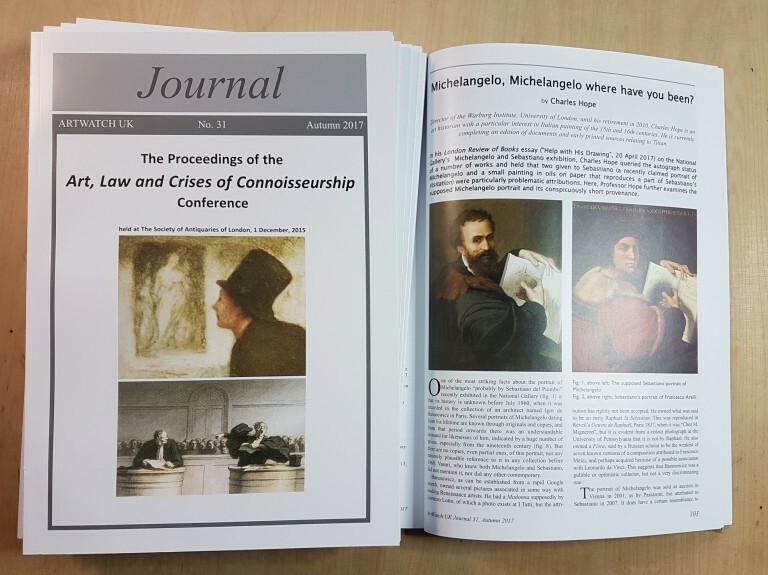 1 & 2: ArtWatch UK members’ Journal No.31 and its lead article. For membership details please contact Helen Hulson at hahulson@gmail.com . 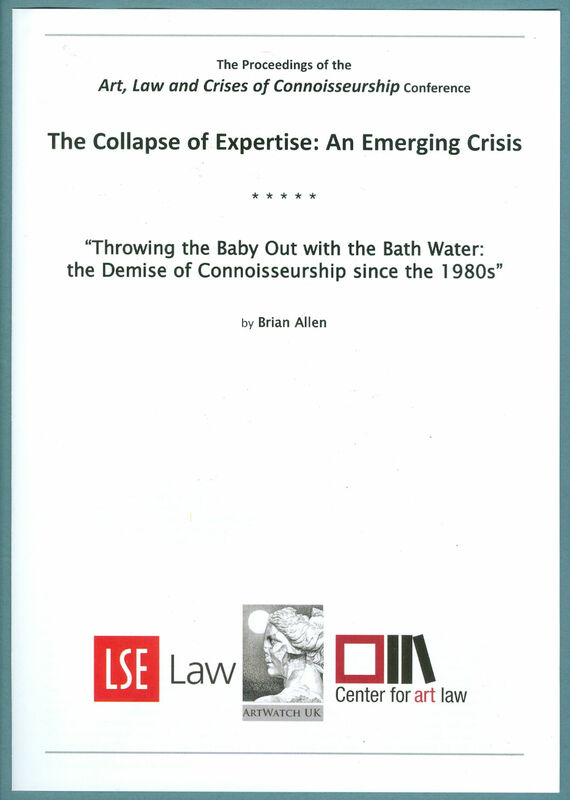 In our current Journal (above) we carry a report on the crisis triggered by the collapsing numbers of scholars who possess specialised expertise in particular artists and fields, and on whose authority and powers of appraisal the art market relies. Scholarly shortcomings are also evident in a widespread disinclination to conduct rigorous, visually comparative interrogations of restored and/or attributed works – perhaps out of deference to institutionally-powerful picture restorers who nowadays call themselves Technical Art Historians. Some museum curators openly farm out responsibility for attributions…to private collectors. At elevated scholarly levels the highest ascriptions are sometimes attached to what are only the best surviving versions of lost works. So that was alright then? No. Sir Denis was parading methodological laxity. Even before the Prado picture emerged, he should have appreciated that an old engraved copy testified that the original work was larger and compositionally richer than the cropped version he was espousing. Cropped digits and limbs are so commonly encountered in copies as to constitute attribution alarm bells. They are found (as we showed in “Art’s Toxic Assets and a Crisis of Connoisseurship”) in works given to Caravaggio, Rubens and Leonardo. Just as the thumb on Christ’s left hand in the New York Salvator Mundi is inexplicably cropped (- and nowhere addressed), so are Samson’s toes in the National Gallery’s Rubens Samson and Delilah and so are the legs and part buttocks of a slain infant in the Old Masters world record-beating Lord Thomson Rubens Massacre of the Innocents. In the National Gallery’s (second) version of Leonardo’s Madonna of the Rocks, the foot of the infant Baptist runs off the painting whereas it falls comfortably within the edge of the composition in the unquestionably autograph first version in the Louvre. It is being claimed that the New York Salvator Mundi (Fig. 3) is the prototype original for all other versions when it is in fact the only version to carry a cropped thumb (see Fig. 4). Did every other artist ignore/correct a mismanaged painted prototype composition by Leonardo? Above, Figs. 3 and 4: Top, the New York Salvator Mundi which, since 2011 has been attributed to Leonardo (photo. 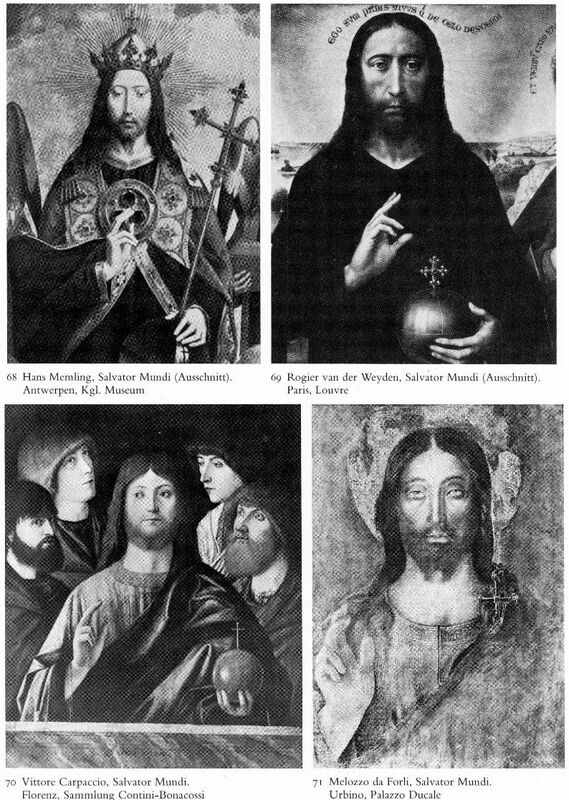 courtesy of Christie’s); Above, details left, of the so-called de Ganay Salvator Mundi; centre, of the Detroit Institute Giampietrino Salvator Mundi; and, right, of the New York, Leonardo Salvator Mundi. Above, Fig. 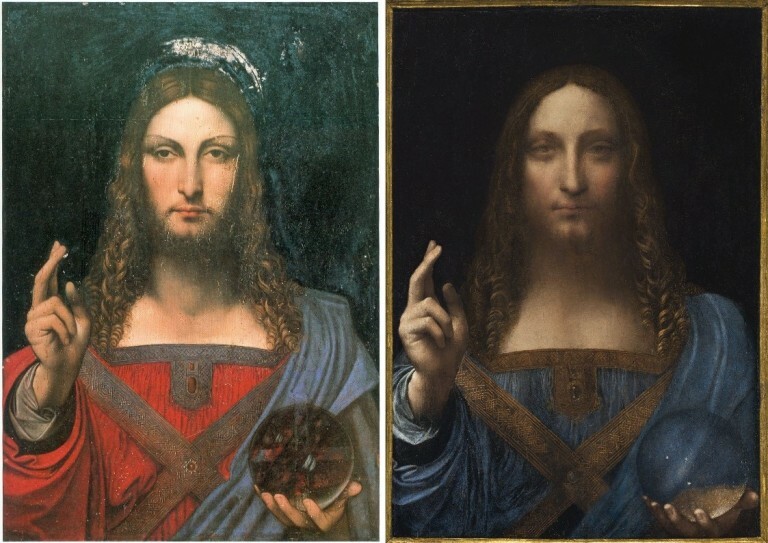 5: Left, the proposed but rejected de Ganay Leonardo Salvator Mundi; right, the New York Leonardo Salvator Mundi. 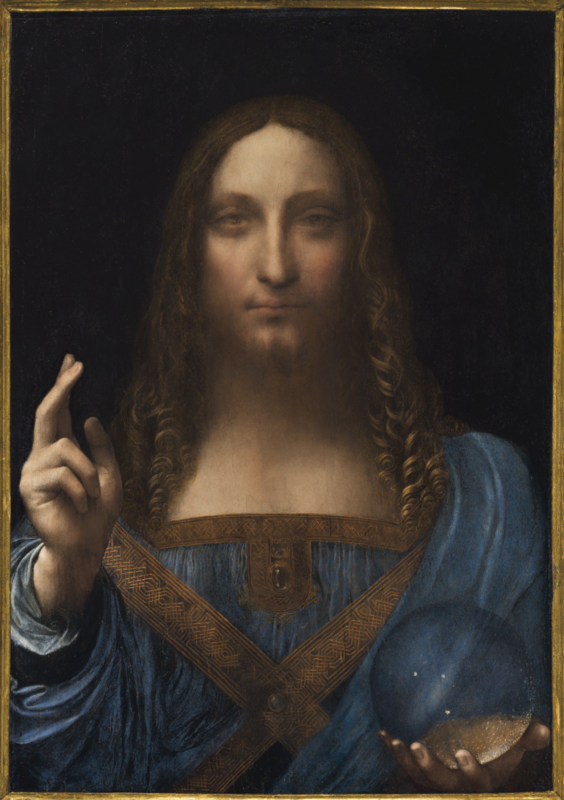 The New York Salvator Mundi is billed as a miraculous once-in-a-century discovery when it is the second such claimant drawn from a pool of more than twenty clearly Leonardo-derived and sometimes partially Leonardo-assisted Salvator Mundis. In 1978 and 1982 Joanne Snow-Smith, with the support of the Leonardo scholar Ludwig Heydenreich, proposed that the de Ganay Salvator Mundi (above, left) was the original autograph Leonardo prototype for all other variants. 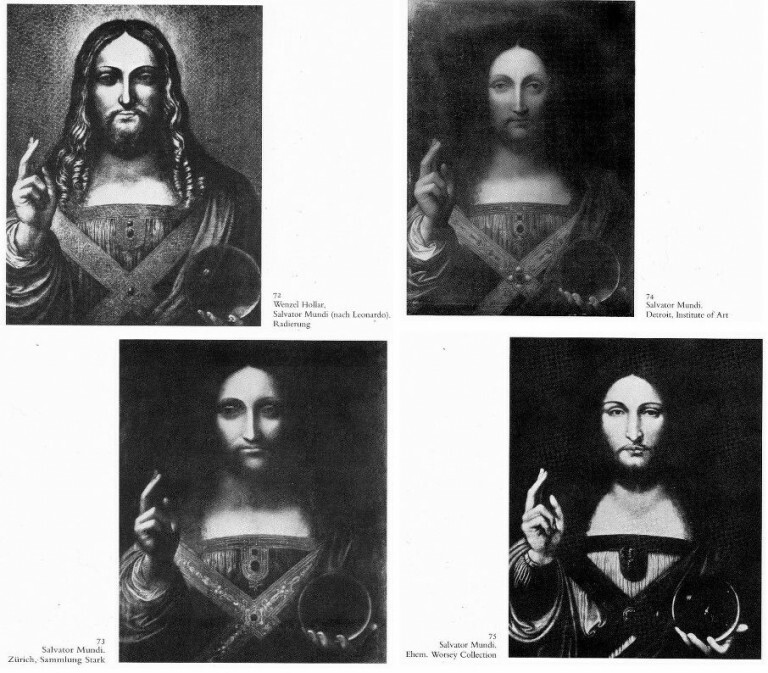 Earlier, Heydenreich had concluded on the evidence of the various treatments seen in this group – which included the then lost, now New York Salvator Mundi – that Leonardo had more likely executed designs or a cartoon to inform his assistants and associates than to have executed a finished painted panel. Although the quality here is very poor we reproduce below at Figs. 6–10 all of the reproduced images included in Heydenreich’s neglected but, as Frank Zöllner holds, “enduringly significant” 1964 study “Leonardo’s ‘Salvator Mundi’”. The initial images set the scene and context of the subject, others are examples of the score or more Salvator Mundi works now associated with Leonardo. Above, Fig. 10: This image is crucial to the attribution, being the two (Windsor Castle) drapery studies that comprise the entire extant material evidence for Leonardo’s involvement in the genesis of the large associated group of Salvator Mundi works. 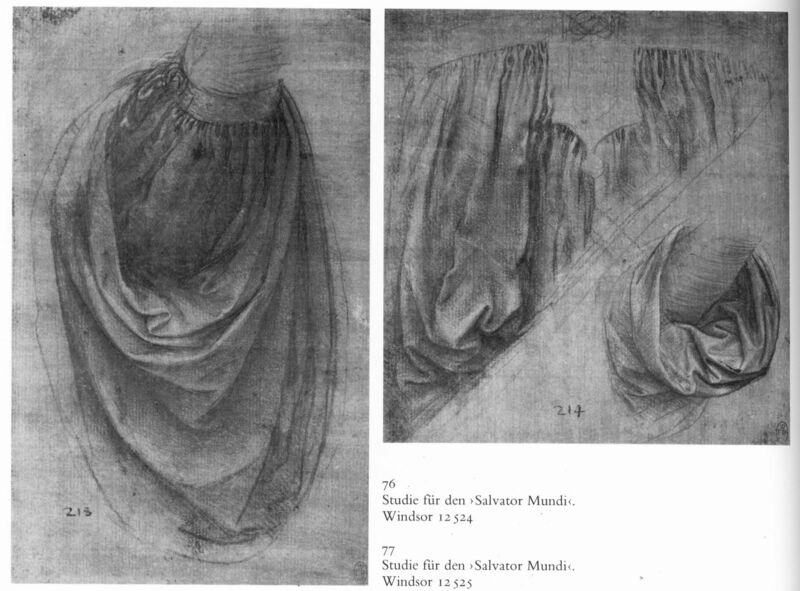 Characteristic Leonardo drapery fold motifs in the two studies recur in varying ways in many but not in all of the associated works. These two sheets provide a small base for a claimed Leonardo attribution for a particular painting. 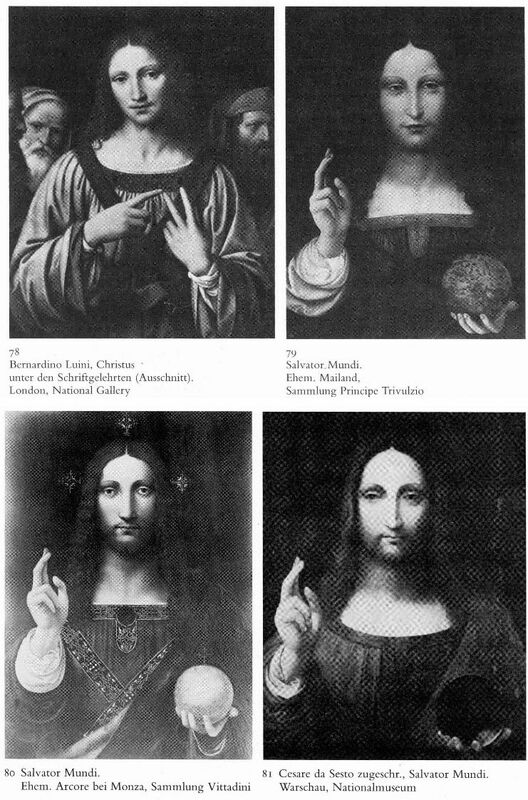 At the heart of this present (contested) Leonardo Salvator Mundi attribution is, therefore, the question of whether Leonardo provided further designs, studies, cartoons and some painterly assistance to his students (as Heydenreich held and Frank Zöllner now holds), or whether Leonardo painted a prototype painting which provided the basis for all of the many variant Salvator Mundis. What is for sure is that there exists no study by Leonardo for an otherwise out-of-character fully frontal view of Christ’s face, or for the distinctive and recurrent hand/orb motif. This quest for an autograph prototype Leonardo painting might seem moot or vain: not only do the two drapery studies comprise the only accepted Leonardo material that might be associated with the group, but within the Leonardo literature there is no documentary record of the artist ever having been involved in such a painting project. The first record of a work of this subject by the (attributed) hand of Leonardo occurs only in the 17th century in England. Mina Gregori, Nicholas Penny, Carmen Bambach, Andrea Beyer, Keith Christiansen, Everett Fahy, Michael Gallagher (restorer), David Allan Brown, Maria Teresa Fiorio, Martin Kemp, Pietro Marani, Luke Syson and David Ekserdjian. Of the remaining twelve, how many have written publicly in support of an unreserved Leonardo attribution? We recently asked one of those listed if he supported the Leonardo attribution unreservedly but have yet to receive a reply. One seeming casualty of the (heavy) promotion of the Salvator Mundi as the last chance to buy a Leonardo is the mixed media drawing on vellum known as “La Bella Principessa”. Is that work no longer on the market? Its Leonardo ascription was supported by two of those listed in support of the Salvator Mundi – Mina Gregori and Martin Kemp, but then, two listed supporters of the New York painting, David Ekserdjian and Pietro Marani, have roundly rejected the “La Bella Principessa” – as presumably also did Luke Syson and Nicholas Penny when the work was excluded from the National Gallery’s 2011-12 Leonardo exhibition to the annoyance of its owner and its scholarly advocates. As shown below, the print (Fig. 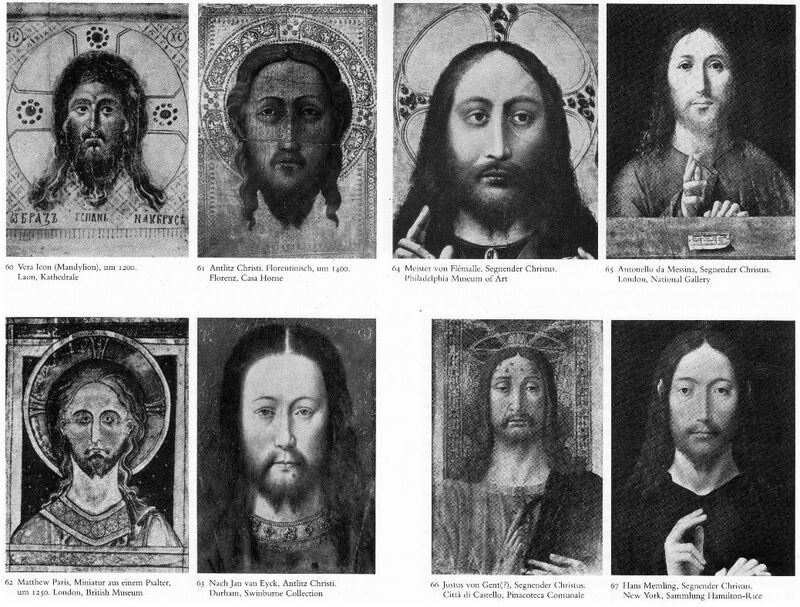 11a) mentioned by Hope is crucial to the New York Salvator Mundi enjoying any provenance prior to 1900. Few will likely be persuaded that Leonardo exerts as much influence on today’s artists as on those of his own times, and some might feel that removing the work from the context of an old masters sale will be helpful to its chances, given its heavily damaged condition and its very recently and substantially reconstructed twenty-first century appearance. There are other problems. The first concerns provenance, where the facts come late and are grafted onto a daisy-chain of hypotheses, claims and assumptions. Thus, from a claimed execution either before or after 1500 (the supporters are divided on a possible position within Leonardo’s oeuvre) it is said to have passed through four centuries via a “(Possibly) Commissioned”; “Possibly by descent”; “by whom possibly brought to England”; “probably by inheritance”; “from which probably removed”; “and probably by descent” to 1900. It then took a further 111 years for this work to gain accreditation as a Leonardo when it was included in the National Gallery’s special exhibition “Leonardo, Painter at the Court of Milan” after a long and highly problematic restoration. 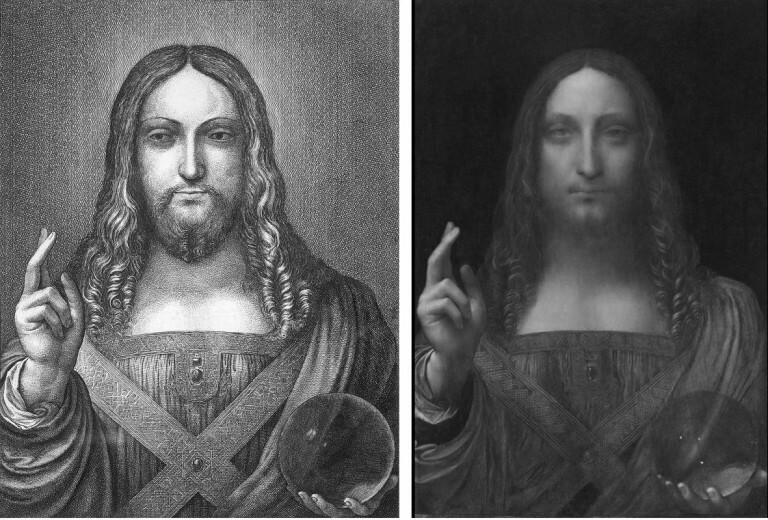 The general extent to which the Hollar copy fits the present New York Leonardo Salvator Mundi is (as seen above) is considerable, as Syson notes, but then, so too is the number of ways in which it departs from that record. Both will be examined in Part II. This entry was posted on November 14, 2017. It was filed under blog.